I think I’ve made my way through my favourite recipes by my favourite cooks and chefs. Finally, we have made it to Rachel Khoo, who is not only a wonderful cook but also a girl crush of mine. Google her, and you’ll see why. When The Little Paris Kitchen aired on BBC two last year I was smitten within half a second. Her style, Paris in the spring, her haphazard way of cooking in a kitchen the size of my wardrobe, oh and did I mention her style? Soupir. A woman of many talents, that’s who Rachel Khoo is. 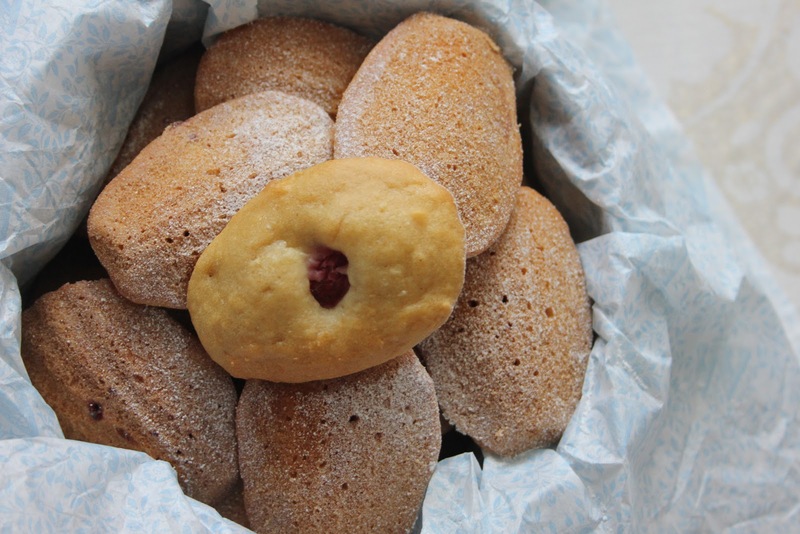 But then she pulled out this recipe — madeleines aux framboises. And I got sucked into a memory vortex much like a Proustian episode, indeed. My mum used to make these when I was little. I loved these delicate little cakes, so simple but so satisfying. 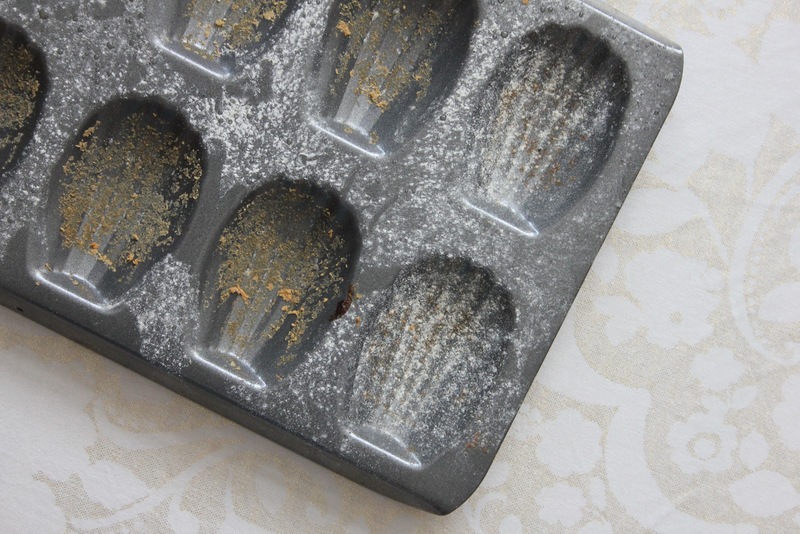 Sadly sometime int he last few years, what with moving to different countries and getting rid of much accumulated rubbish, my mum’s madeleines pan was lost. Or maybe it’s in South Africa, in my dad’s kitchen, where he will never ever touch it, because when has my dad ever baked a batch of madeleines. Mum ordered me another madeleines pan. Because mothers know how much their booky daughters love to have Proustian moments over a cup of tea and a batch of cakes. 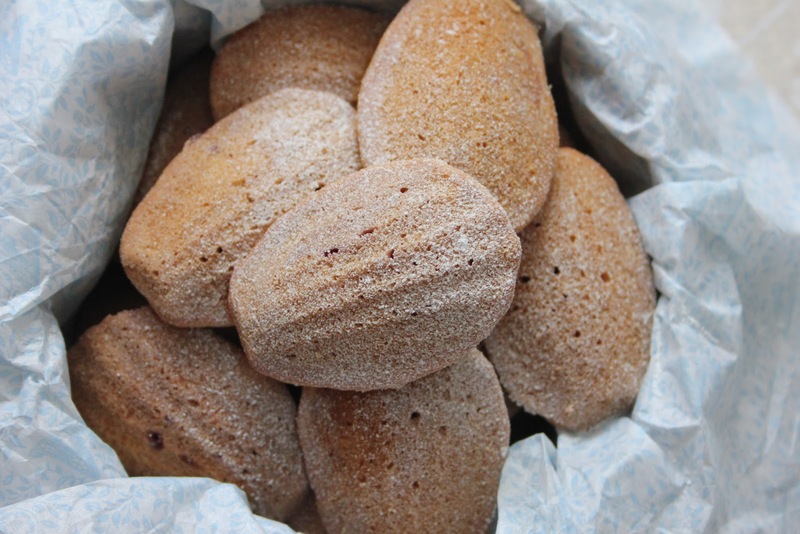 But can we talk for a minute about how freakin’ difficult it is to make madeleines? Proust definitely never mentioned that — guess he was too busy scoffing ’em down to worry about the recipe. Let Auntie Léonie worry about the making of his favourite tea time treat. I had to Google for some time, and try a few recipes before landing on this one, which I tweaked a bit. Mercifully, the cakes turned out all right. I say all right — they taste pretty much as I remembered them to, but I know people have widely ranging opinions on the precise consistency of petits fours. You know what I think? I think some people are too fussy. These are light, delicate and addictive. 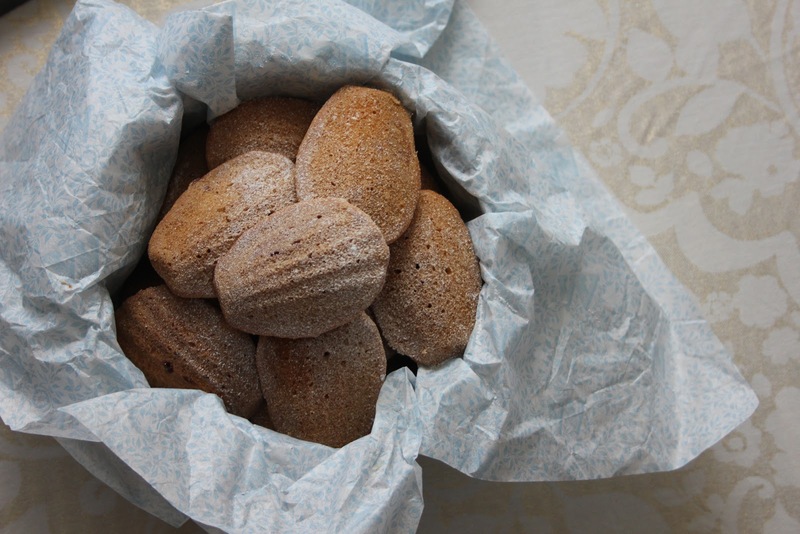 And that is all I require from my madeleines. The one thing to remember is that you want the batter to be quite runny — not like a sauce, but the kind of runny that gives a little resistance when you stir the batter. A thick, lumpy batter will only give you dense, tough cakes. Combine the soy milk and lemon juice and set aside to curdle. This will ensure that the cakes rise properly. Sift the flour into a large mixing bowl. Add the lemon zest and baking powder. Vigorously whisk together the apple sauce, vanilla extract, sugar and syrup. Pour in the melted margarine. Fold this mixture, along with the soy yogurt and the warm water, into the flour. Drop about a tbsp of the batter into each shell shape, filling them to 3/4. Press a raspberry into each shell, cover with a little bit of a batter using the back of a spoon. Bake for 15 minutes. 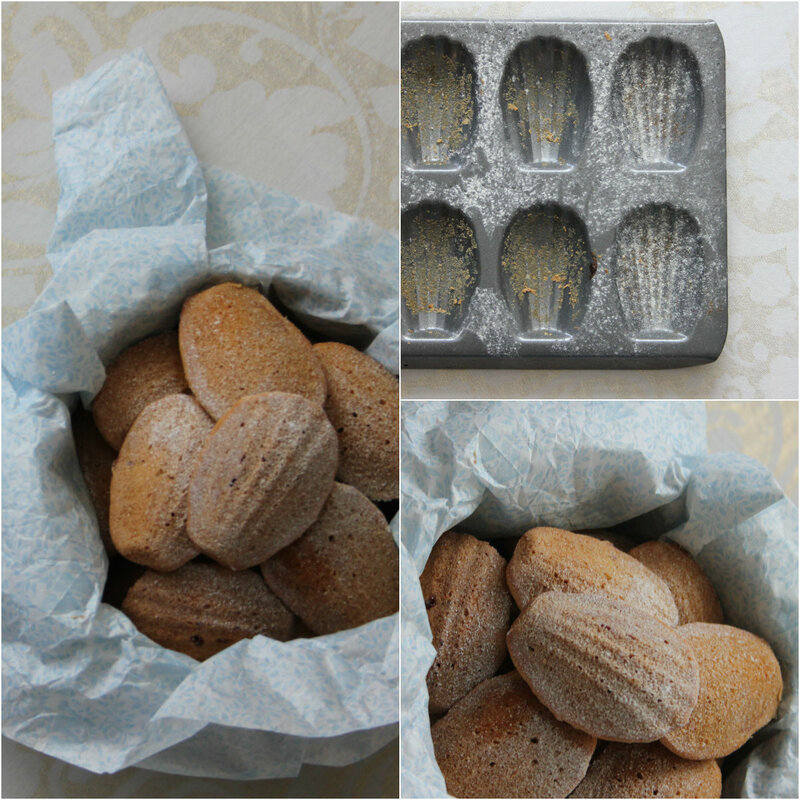 Switch off the oven, leaving the madeleines in for another 10 minutes before cooling on a wire rack. Psst — I served these at The Londoner’s Blogger Bakesale, take a look at the day’s recap!